Face your partner, do a gypsy, retire, and go around the house! Those are some of the directions you might hear if you try Irish set dancing, which is similar to American square dancing. But be careful, if you’re not holding on fast enough, you might just fall off the wheelbarrow; this is some quick, energetic dancing! Irish dancing is a great way to socialize and meet new people. That may be one reason why the Kingston club is so popular with students. At the monthly Ceilis, students make up almost half of the attendees. There are, however, a wide variety of people who come as well, and it makes for a great family event. 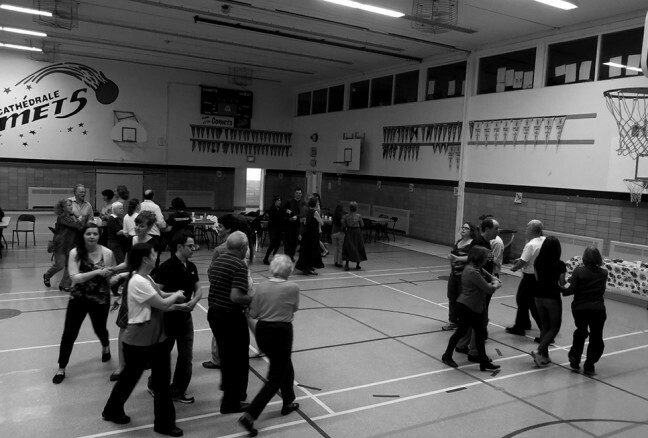 Young and old come and enjoy some lively Ceili dancing at Ecole Cathedrale School. Photo credit Julie Bowes. Dancers form small groups called sets and every dance move is called a figure. All the dancing is lively and quick. Photo credit Jack Hickman. Ceili (pronounced kay-lee) is the Irish word for a party or dance. Ceilis originated as something like a kitchen party where everyone would come together to share a talent whether dancing, music, or reciting a favourite poem. These dances are still primarily for amusement, so even if you are completely new to dancing, you are sure to have a good time (have fun or don’t come back, as the Irish would say!). This lively Irish group has been active in Kingston since 1978, and its musicians have traveled across the country for different folk festivals. The moves are easy to pick up, and there is a quick walkthrough even before the music begins to play. You don’t need to bring a partner, and you certainly don’t need to be Irish, but you do need to wear shoes (as I unhappily discovered!). And what more, it’s free. Harp of Tara is the short name of the group, a branch of the of the Society of Irish Musicians, which originated in Ireland. (The group also has a very long and convincing Irish name – Comhaltas Ceoltóirí Éireann). A monthly Siamsa (sheem-sa) welcomes musicians to try out their party pieces. Photo credit Jack Hickman. Harp of Tara also offers musical get-togethers and Irish language lessons. 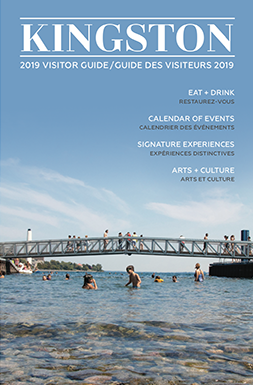 In fact, you can even attend a full immersion weekend (where only Irish is spoken) right here in Kingston this April. These gaeltacht attract people from all over Canada and the northern United States, and you might just find yourself speaking to a beginner or to a fully fluent speaker. A full week session is offered in Tamworth in the summer. Any beginner musician may attend a slow session, or seisiún. Every Tuesday night at the Brew Pub, there is a simple repertoire to learn and to join in on with the other fiddlers and flutists. If you are just looking to listen, later on that same Tuesday evening there is a faster session with more experienced musicians. 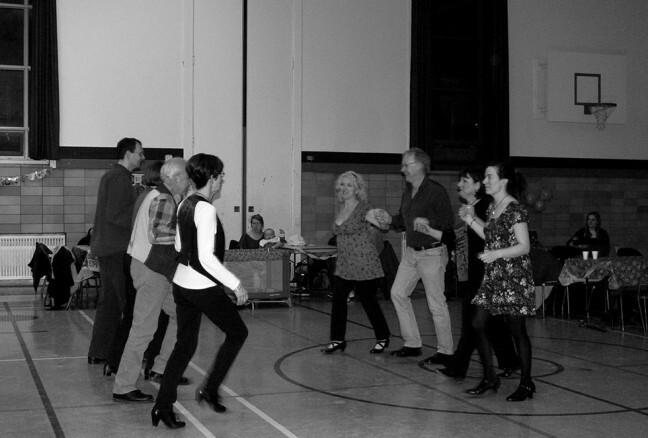 The Kingston Ceili Band also plays live at every Ceili session, which happens monthly. The next one is due this Saturday, March 14th and with St. Patrick’s Day as its theme, it’s expected to welcome over a hundred people at Ecole Cathedrale School. 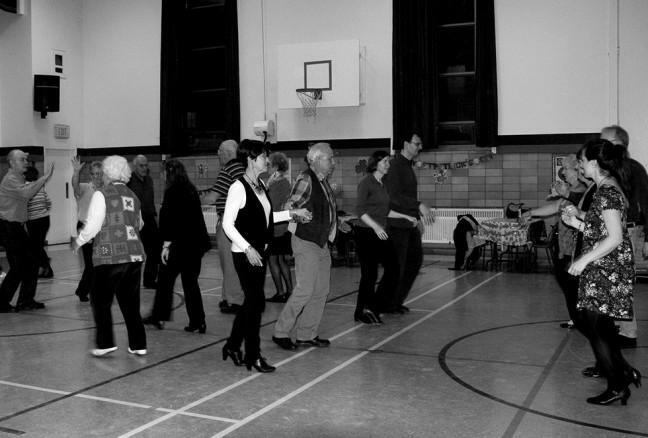 The final Ceili of the year is on April 18th, but when the nicer weather comes around, dancers will meet at Richardson Gazebo on Wednesday evenings “until the mosquitoes come out,” chairman Stephen Rayner explains. 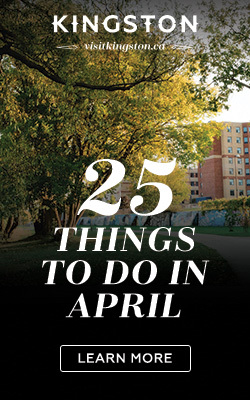 It’s almost overwhelming with the amount of Irish things that are happening in our city! And they’re great fun if you’re feeling a little Irish and want to move, dance, or play. To see everything that is happening at Harp of Tara, visit their website.